From the beginning of 2010, figures have been produced for both Holstein and Friesian sires with regard to their production of calving ease progeny. These established calving indexes are there to help dairy herd farmers make decisions around breeding based upon genetic data rather than relying upon instinct to select a breeding bull. Data collected from farmers from their breeding sires is graded on a scale between -3 and +3, with the breed average being zero. Those sires with figures in the positive range indicate that easy calving is far higher than those falling within the negative range, which would suggest difficult calvings. The calving ease indexes are the result of a collaboration between breeders and other industry-related bodies including Defra, the Scottish Government and Holstein UK. The initial easy calving research was undertaken by SAC, a leading specialist consultancy provider, which analysed data taken from approximately 400,000 UK calving records. 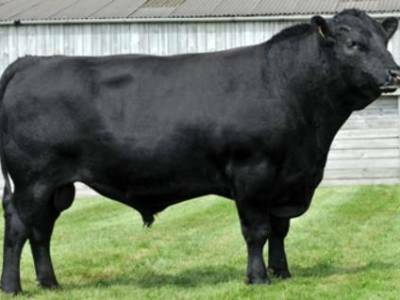 The SAC genetic study culminated in the creation of two indexes which, combined, provide a clear idea as to the calving performance of a bull, the Direct Calving Index (dCE %) and the Maternal Calving Index (mCE %). The dCE predicts how easily a calf will be born from a particular sire and the mCE looks at how easily a daughter of that sire will go on to calve herself. Breeders may find that the Direct Calving Index is of more interest in the first instance for easy calving, and it will be particularly important when breeding maiden heifers. Negative dCE percentage sires should be avoided to ensure that easy calving is maintained. Negative dCE percentages should also be avoided when breeding older cows as difficult calving, even in an experienced cow, is undesirable. For longer term easy calving, Maternal Calving Ease percentages should be added to the equation to ensure that you do not encounter problems with calving in future generations. In considering your own breeding strategy for a herd, the easy calving indexes should be consulted in conjunction with the Profitable Lifetime Index (£ PLI). The PLI considers a number of traits, both those concerned with fitness and those concerned with productivity, to give an increased profit indication above the average of zero. This should be the primary source index for your decision making, with consideration also being given to the dCE and mCE, which will ensure that you create, or maintain, a profitable herd.